Truth is, cufflinks actually pre-date safety pins, buttons, Velcro, and zippers. Fortunately, improvements have been made since the first cufflinks to make them completely functional and even customizable. Cufflinks are a great way of adding in your personal style when wearing a dress shirt, or a suit. With so many new styles to choose from, they can be a way of displaying your unique sense of style, or by simply completing an outfit. 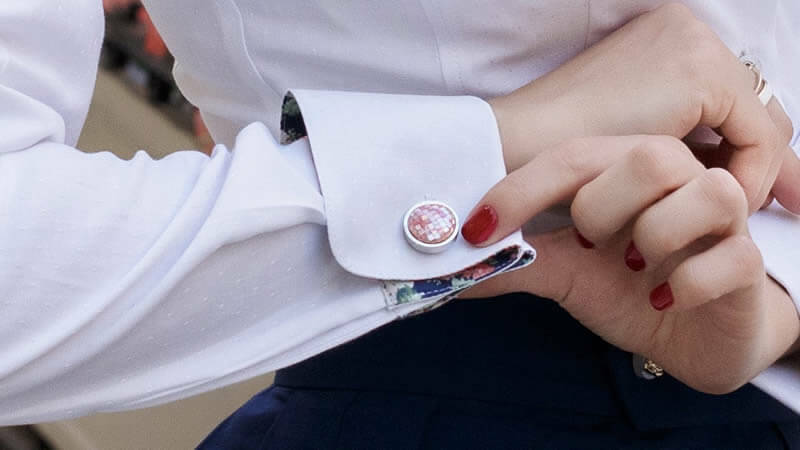 Cufflinks are normally worn with double cuff (or French cuff) dress shirts. This type of dress shirt has long cuffs that folds back, thus, creating layers. French cuffs don’t have buttons to link the cuff. As an alternative, small holes were created on each side of the cuff, where cufflinks can be inserted. This is the most classic style of dress shirt to wear with cufflinks. 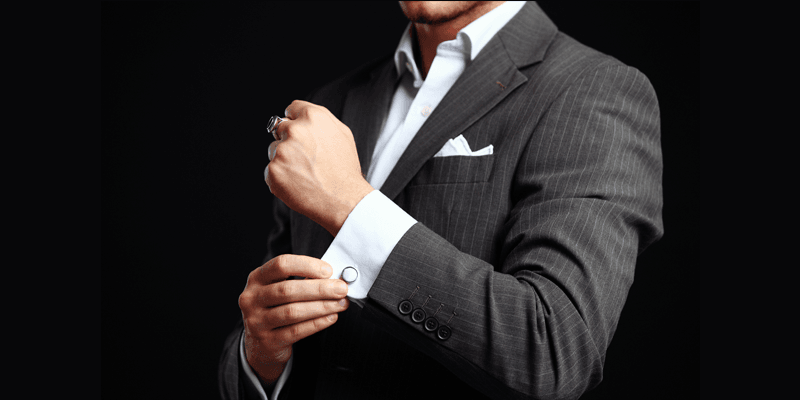 With one arm extended, use your opposite hand to neatly fold your French cuffs back. However, if you’re wearing a single cuff shirt, folding back the cuffs is no longer necessary. 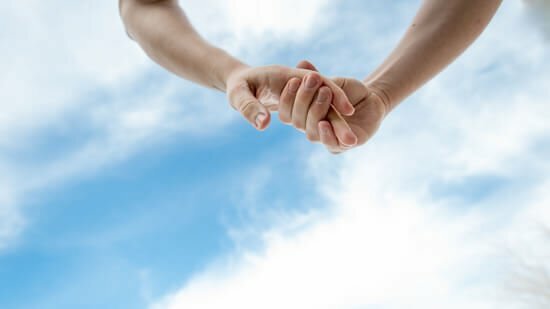 Pinch the two edges of the cuff together so the both of them lays flat, away from the wrist. This creates the classic “kiss cuff”, which is mostly worn with cufflinks. On the other hand, a single cuff shirt will no longer use the “kiss cuffing.” Rather, the two edges of the cuff should overlap the other one, creating a barrel shape. 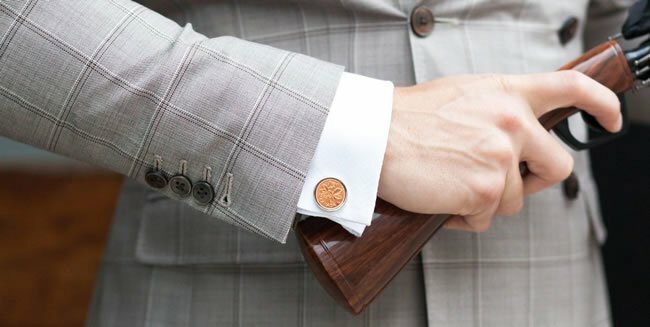 Don’t worry though, you can always wear cufflinks with a single cuff shirt, but it is considered to be a far more casual look. More often than not, cufflinks are paired with French cuff dress shirts for formal occasions. Be sure that the cufflink holes are evenly aligned, as this makes it easier for you to insert any types of cufflink. For a single cuff dress shirt, simply align the cufflink holes by overlapping each of the cuffs until both holes match up. It is important to note that the decorative side of the cufflink should always be displayed outwardly when your arms are at your sides. Then, simply insert your cufflink of choice through the layers of the fabric, and secure it on the other side of the cuff. The way to secure the cufflinks will greatly vary depending upon the style of cufflink itself. Also, be sure to wear cufflinks that match your outfit, as well as the occasion. It would be unwise to wear casual-looking cufflinks when you’re at a formal event. To amp up your style, why not wear Bespoke Cufflinks instead? You can customize the colour, the materials, and even the style of the cufflinks so it would seamlessly match your personality! Lastly, no matter what cufflinks you may choose to go for, always keep in mind to match them with your overall outfit. Previous article It is a well-known fact that a lot of hard work goes into the planning party.